Duomo di Sassari (San Nicola.) Sardinia, Italy. This weeks photo challenge is yet again, another challenge! I don’t have fancy photo editing software so I can’t merge photos together. I took this photo during a late night party session in Sassari this past week. 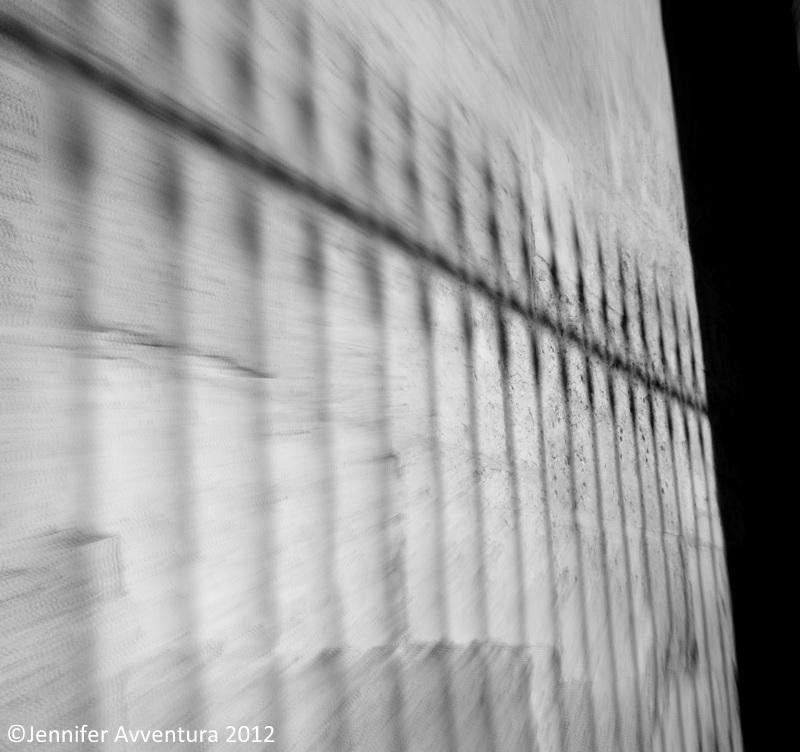 We silently walked past the duomo at a quarter to midnight when I noticed the dancing shadows on the wall. It was the most natural, beautifully placed shadow I had ever seen. And I knew I could use it for an upcoming photo challenge. I edited the photo with a slight crop, changing it from an off yellow colour to black & white, and I put in a soft focal zoom. “Merge. The world is made up of many things. There is a saying that opposites attract, and this is true for relationships and other things. What about photography? Many surprises can come out of merging two different entities into one. Sometimes this fusion of the elements is what we call art. For instance, try placing an object where it does not belong. Or, juxtapose two different objects. The statements they make together may be contradictory, but remember: break the rules and experiment. As for me, I love merging the arts, especially two distinctly different types of art. On one side, there is the performing arts—a ballerina, for instance—and on the other side, there is architecture. Click here to see what other bloggers are merging this week. It’s a nice image. I’m glad you have the talent to see things like this and the foresight to capture them. Thank you for the wonderful comment, Galen. Hi, very good/powerful and free photo editing software but, only if you care to do that sort of thing. 🙂 GIMP – http://www.gimp.org/downloads/ Cool shadows by the way. Oh thank you kindly. Im off to check it out!